On Sunday, November 20, 2017, Chile announced the results of its presidential elections. Conservative ex-President, Sebastian Piñera received the most votes, however, was not able to secure the victory. In the Chilean presidential election process, the candidate who receives more than 50% of the vote wins the election. In the case that none of the candidates win more than 50% of the vote, the top two candidates continue to a second round of elections in which the majority vote winner takes the presidency. This is what will happen between Piñera and Socialist runner-up Alejandro Guiller on December 17. These elections are critical for the nation of Chile and will have a huge effect in determining the direction the country is headed in. Although Latin America has historically been a very liberal region, many Latin American nations such as Brazil and Argentina have recently elected more conservative presidents (Al Jazeera News, 2017). These presidential elections are not only key in identifying the future of Chilean politics, but also the politics of Latin America. Candidate Sebastian Piñera is one of the richest men in Chile, with an estimated fortune at $1 billion. He earned most of his money through being one of the key implementers of introducing credit cards to the country, as well as making several lucrative investments over the past 50 years. Much like the current President of the United States, Piñera’s campaign is based on his strategy of applying his experience in the business world to his political policies and programs (BBC News Latin America & Caribbean, 2010). This would not be Piñera’s first presidency, should he win the second round of elections. Piñera served as President of Chile from 2010 till 2014, and was the first conservative President since the radical right-wing dictator Augusto Pinochet ruled in the 1980s (Al Jazeera News, 2017). Piñera’s popularity was extremely high during his first several months in office, as the mission to rescue a group of gold and copper miners trapped in a mine near Copiapo was successful and as he worked to distance himself from the ideologies of Pinochet (BBC News Latin America & Caribbean, 2010). Piñera was replaced by Center-leftist candidate Michelle Bachelet in 2014 who made many liberal social reforms during her time as president, quite opposite to many of Piñera’s beliefs. However, corruption scandals and a slow implementation of these social reforms lead to Bachelet’s low approval rating, perhaps opening the door once again for a conservative president. Despite Piñera’s popularity during his first term of Presidency, he is not enjoying high approval ratings this time around. Regardless, many believe that he did a decent job with governing the nation, and was preferred over the other candidates enough to secure 36.6% of the first round of votes (Al Jazeera News, 2017). Will this be enough to defeat runner-up Guiller and the distribution of votes from the less popular candidates of the first round? Alejandro Guiller is a member of the same political party as current president Bachelet, the Nueva Mayoria Coalition. Guiller, who is a former news-anchor, received 22% of the votes in this year’s first round of elections, a large gap to fill to compete with Piñera in December. Closely behind Guiller was a surprising candidate, Beatriz Sánchez. Also a journalist, Sánchez is known for her leftist political commentary on television and radio shows, though lacking any other political experience. Representing her recently created left-wing party Frente Amplio, Sánchez was expected to gain less than 10% of the votes but received over 20% (Bonnefoy, 2017). Sánchez has not yet announced her support for either of the candidates, though it is likely that if her voters transfer their support to other left-wing candidate Guiller, Piñera will lose his advantage and the presidency to Guiller. Despite the significance of this election, voter turnout was very low (under 50%), keeping consistent with the pattern of declining voter turnout following Pinochet’s dictatorship. This is possibly due to the belief of many Chileans that politicians are corrupt (Bonnefoy, 2017). General view of politicians declined greatly during the past three years after various corruption scandals in the Bachelet presidency. Now, voter participation is more important than ever. The Chilean elections will determine who will lead the South American nation in times when tensions seem to be escalating and the mood of international politics seems growingly hostile. Whichever direction the Chilean voters choose, the Latin American political environment will be greatly affected. Piñera plans to run a very pro-business administration, very similar to that of recently re-elected Argentinian president Macri. He also supports for-profit education, an idea that was largely rejected by students during the time of his first presidency. The future of Piñera’s Chile would likely mimic that of Argentina, as the middle class and business owners’ needs are met with diligence, and businesses are put before federal programs. On the other hand, Guiller’s rise to power is comparable to US president Trump in that his goal is to ‘shake things up in politics’. Quite different from Trump, however, Guiller plans to shake up a majority conservative senate and bring about dramatic liberal social reform. While a Piñera presidency would show a growingly conservative Latin America, Guiller would break the pattern and would tackle issues such as increasing spending on healthcare, education and pensions, better access to abortions, and improved indigenous rights (Watts, 2017). A Guiller presidency could inspire left-wing movements in countries where issues such as access to abortion and indigenous rights are lacking, such as El Salvador and Argentina, and could lead to a more liberal Latin America. 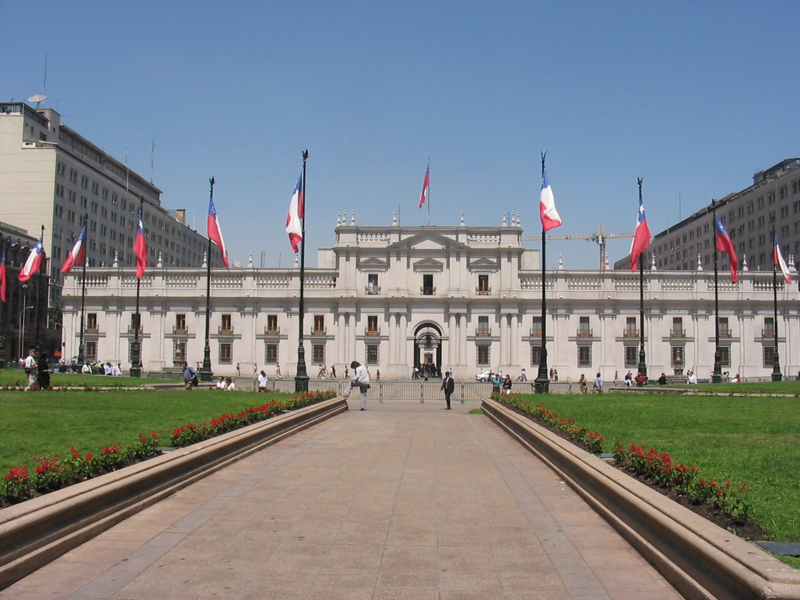 Follow the second round of the Chilean Presidential elections on December 17th, 2017. Al Jazeera New . (Nov 20 2017). "Sebastian Pinera to face Alejandro Guiller in run-off". BBC News Latin America & Caribbean . (Oct 16 2017). "Profile: Chile's President Sebastian Pinera". Pascale Bonnefoy . (Nov 19 2017). "Ex-Leader Wins First Round of Chile’s Presidential Vote". Johnathan Watss. (Nov 19 2017). "Chilean TV star wants to shake up politics, but don't call him Chile's Trump". The Guardian .